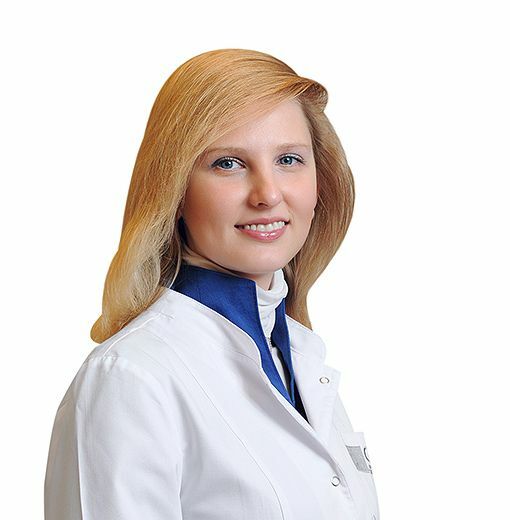 MURASHINA Irina, Doctor EMC. Make an appointment, ask a question. She graduated from the medical faculty of the Mordovian State University named after N. P. Ogarev with a degree in general medicine in Saransk in 2005. In the same year she entered the internship in the specialty "Radiology" at the Department of Oncology. After graduating in 2006, she entered the residency in radiology at the Russian Academy of Postgraduate Education and successfully completed this training in 2008. In December 2011, she defended her thesis on the topic of "Optimization of Radiation diagnosis methods for consequences of shoulder joint damage" at the Moscow State University of Medicine and Dentistry named after A. I. Evdokimov. She was working as a roentgenologist at the Radiology Department of the Municipal Clinical Hospital No. 12 in Moscow from 2008 to 2011. In 2011 – 2013 she was holding the position of head of the laboratory of radioisotope diagnostics, continuing her work in the Radiology Department. During her post-graduate studies she has authored 6 publications with reports at scientific conferences.